Tradition, friends, family and youth football. For more years than anyone can count families have passed game day traditions from generation to generation. Friends have taken part in the bantering of fun rivalries. Team colors have flown to show pride and commitment. In large arenas, the Miami Dolphins have battled the Jacksonville Jaguars. In college towns, the Florida State Seminoles have awaited the arrival of the Florida Gators. On high school fields everywhere the term, Friday Night Lights, is truly a way of life. However, where does it all start? When is the first tackle in youth football taught? Where was the All Star player when he first learned hard work pays off? How do the players acquire a love for the game thru sweat, tears and pain? 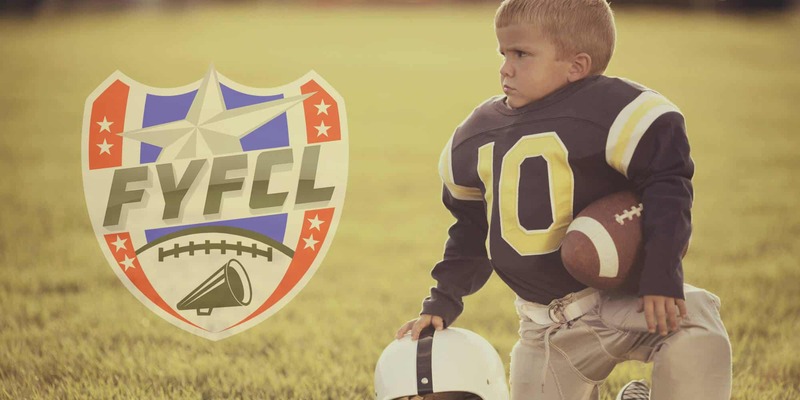 FYFCL, AAU, USA Football, or Parks and Recreation … it is the beginning. The first introduction of the boys of fall. This is where the bobble-heads take the field. This is where, that jock walk swagger starts. This is where teammates become brothers. This is where eleven becomes one. However, past the 50 yard line, beyond the end zone and after the last light in the locker room goes out; these youth football leagues are the start of so much more. It is on the sidelines of these fields that strangers become friends and friends become family. It is where mothers hold hands during the last big play. It is the place where dads hold their breath as they watch their sons run down the youth football field with all they have. It is in the huddles, pep talks, and sideline speeches that coaches go from fathers of one to fathers of 30. They spend quality time teaching their sons the game, loyalty, teamwork and respect. They remind the moms not to cry and reassure the dads that, all moms will cry. However, after the final whistle of the final quarter, at the final game of the season they still don’t stop coaching. As they forever will be mentors, role models, coaches, teachers and fathers. These men will remind their players/sons that no matter where life takes them they can always come home. These leagues were started by a love of the game. They were built on tradition. But they remain connected and strong as only a family can.